For $3K, What is the Best Winter Beater for TTS Types? 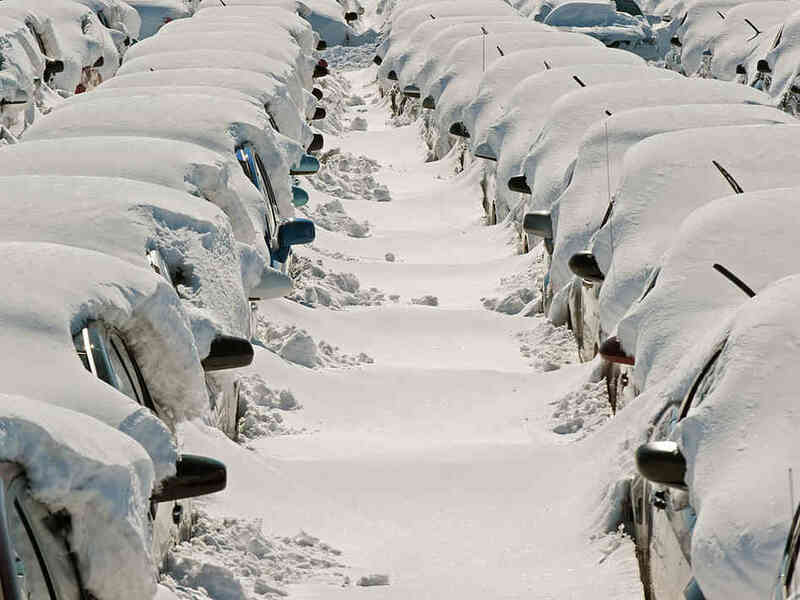 We hate to break it to you, but winter is fast approaching. 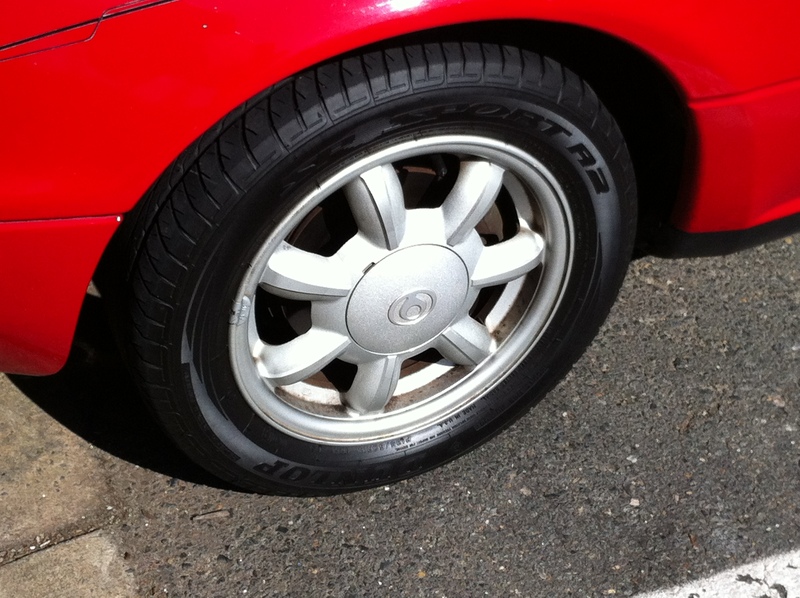 In fact, the subject of good “winter beaters” has been quite the buzz around the TTS offices of late, because Lord knows we don’t want to drive our decent cars in the bad weather amidst the snow, ice, and (ack!) salt. Instead, like any red-blooded car people, we prefer to add something to the stable that 1) won’t break the bank in terms of buy-in cost OR maintenance, and 2) will be something that we can respect ourselves for associating ourselves with. Or that we can at least rationalize. Now is the time to buy, however, while the weather is still good enough that folks are selling interesting cars but before the weather comes and all the good ones are either sold or parked until spring. The general guidelines are simple: less than three grand purchase price, and, well, something we could conceivably have fun with. That’s pretty much it. So in a quick scan around Craigslist here are some examples to provide you food for thought…..
Garage Corner: A New Addition- For Now…. It’s been a while since my last Garage Corner post, partly because I, myself, can’t even keep up with the recent changes. Actually, there’s really only been one major change, but it happened so quickly that I’m still not totally sure what I did, or whether I’m happy about it. 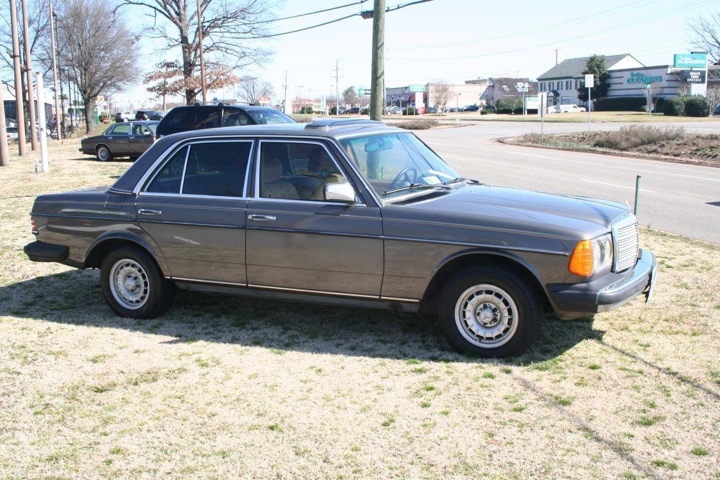 This week’s trip to Germany and England didn’t help much either, because I seem to have developed a taste for a few cars of a very different breed from my latest acquisition: this Anthracite Grey on Palomino MBTex 1983 Mercedes-Benz 300D Turbodiesel. Don’t just stare at it, DRIVE it! The fact of the matter is: I don’t drive my old stupid classic cars nearly enough, so I invariably lose interest and move along to the next one. A fact which came to mind as I passed through the garage this morning on the way to get into my Honda Commuting Appliance to go to work. So moved was I by the clean little sportscar sitting there in the garage begging for love, that I went back in the house, grabbed the keys, and hit the road in style! 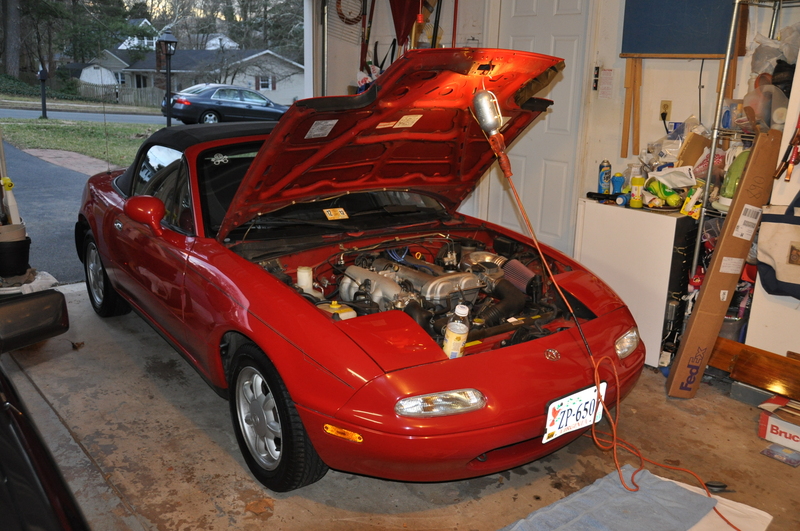 Garage Corner: 1993 Mazda MX-5 Miata – Sound off! 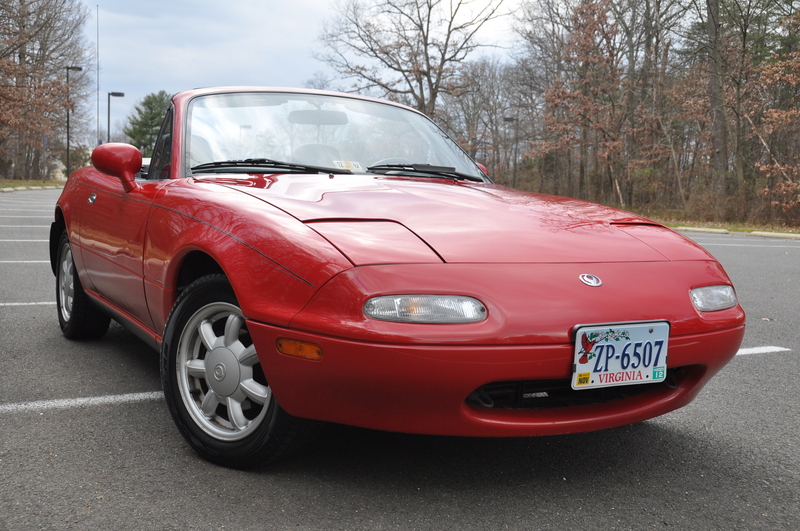 In sum the TTS team has owned four Miatas, and while each has had a distinct personality of its own (believe it or not), they all had one failing in common: their horns. 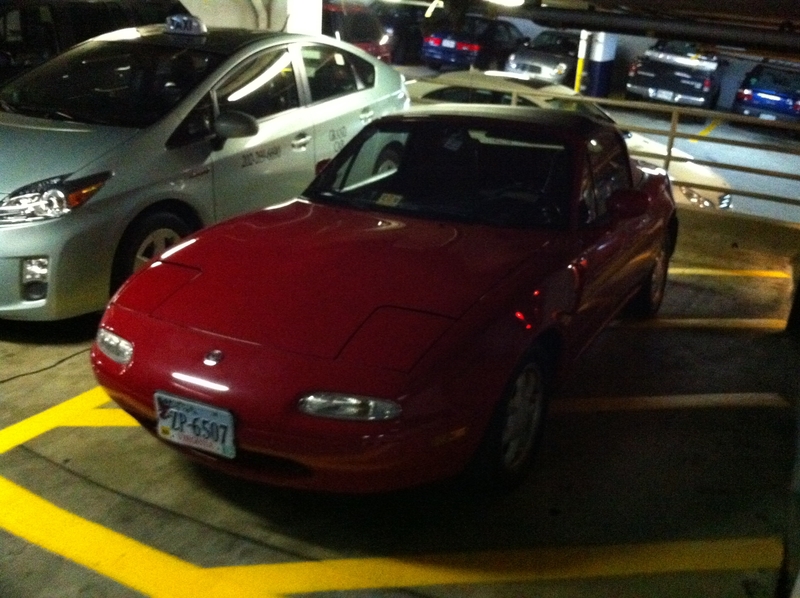 Miatas came from the factory with a weak little “meep-meep” horn that car barely be heard over the radio of any car, including the Miata whose horn it is. So despite the fact that there is still a cockpit brace sitting in my garage waiting to be installed, today’s Garage Corner is all about being heard – in the interest of both ego and safety.